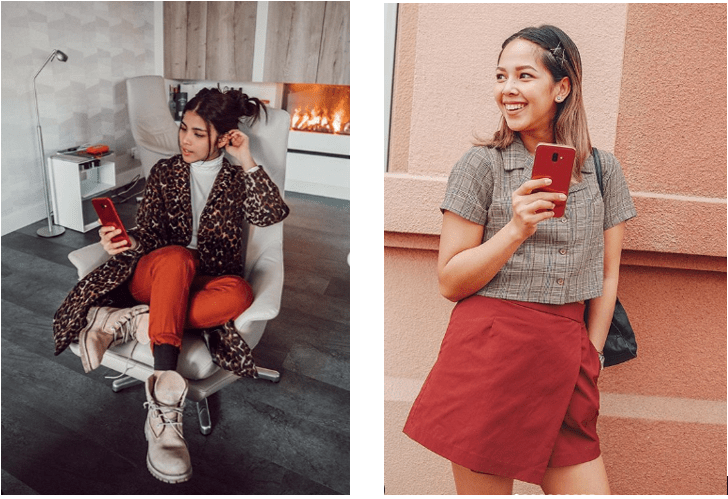 The red Samsung Galaxy J6+ is perfect for those who want to make a bold statement. This phone is made for passionate people who don’t hold back when it comes to expressing themselves. It looks great with color-blocking ensembles and muted outfits alike. The Galaxy J6+ also features a 13MP+5MP Dual Lens Camera with Live Focus for that artistic flair when taking photographs. The Galaxy J4+ in gold exudes sophistication and is perfect to bring along to the most exclusive of events in town. Its glossy back finish and premium design will grab everyone’s attention and get compliments wherever, whenever. The Galaxy J4+ looks stunning with any party outfit and can make what’s simple look elegant. Its 13MP rear camera with F1.9 aperture guarantees clear and high quality photos for that night out with friends. 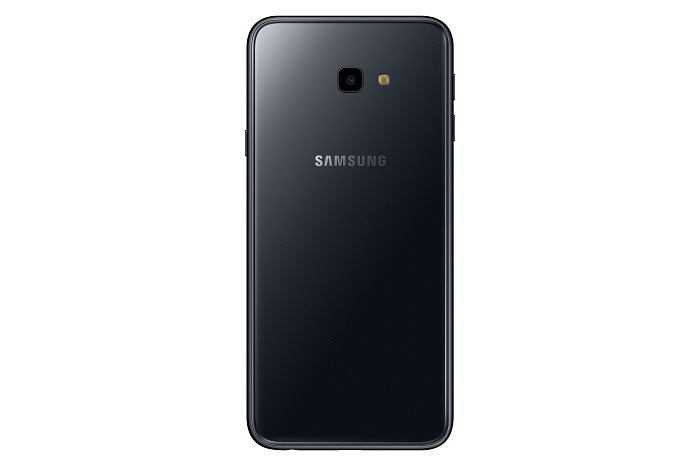 The grey variant of the Galaxy J6+ means business. It is the smartphone for those in need of a high-performance tool to get the job done. The gray tone looks sleek and professional with any well-fitted pantsuit. Now go climb that corporate ladder! Neutrals are everything. The Galaxy J4+ in black is simple, but still looks stylish—made for those who appreciate the classics and like to keep things looking neat and uniform. Just like a plain white tee that never goes out of style, the Samsung J4+ in black looks great with anything. Both the Samsung Galaxy J6+ and J4+ smartphones come with Face Recognition for secure and hassle-free access to their smartphones. Other benefits include: Access to exclusive perks via the Samsung Members app, anti-theft function through Find my Mobile, and quick emergency access via the Samsung 321 app are also available in the two devices. The Samsung Galaxy J6+ and J4+ are available in authorized stores nationwide.The Galaxy J4+ retails for PHP 6,990 while the Galaxy J6+ will now be sold at PHP 9,990 beginning January 18, 2019. To know more, visit facebook.com/SamsungPH or samsung.com/ph.